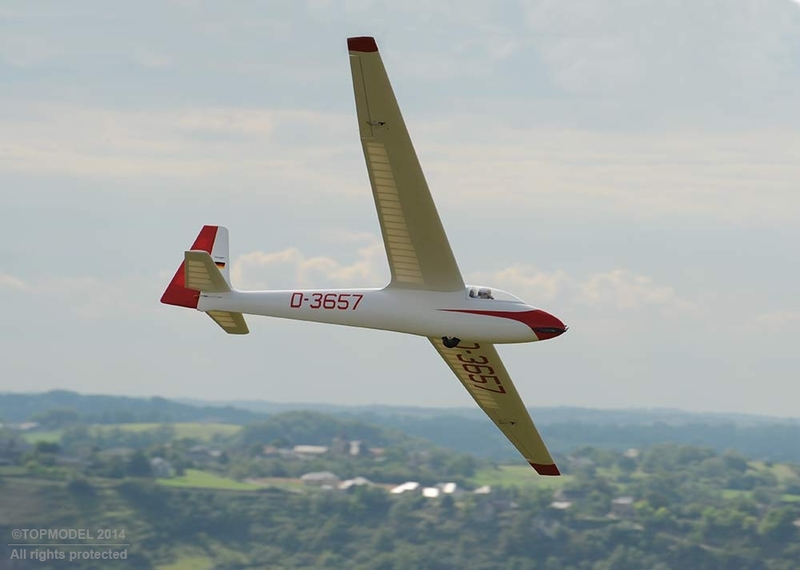 The Schleicher Ka 6 is a single-seat glider designed by Rudolf Kaiser, built by Alexander Schleicher GmbH & Co in Germany and is made of Spruce and plywood and covered with tissue. The prototype took the air for the first time on October 30, 1956 . After several versions (B , B- Pe , BR, CR , CR- Pe) declined in nearly a decade, the last ultimate variant is the Ka 6E and flew for the first time July 29, 1965. The improvements included an all-moving tailplane, a wheel as the main undercarriage with no nose skid, a more aerodynamic fuselage with glassfiber nose and wingroot fairings, longer canopy, and modified aluminium airbrakes. 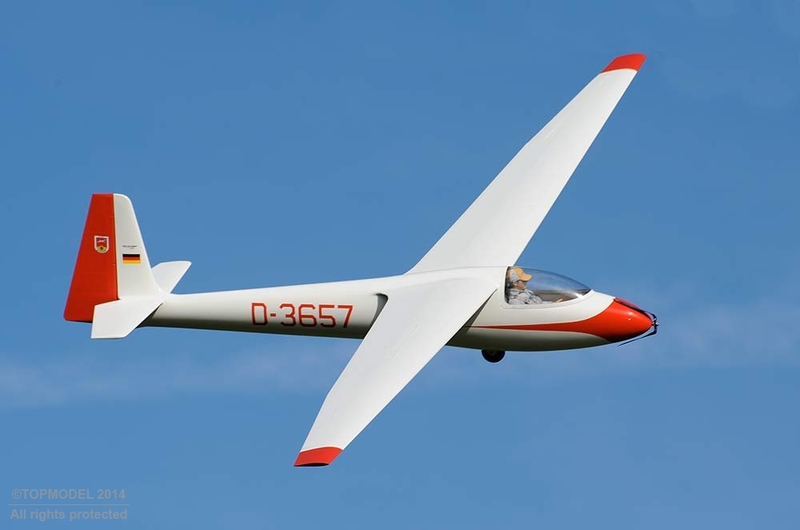 The elegant all open structure built wing covered with Oracover ® is perfectly faithfull to original and requires the electric speedbrakes to be installed installed. 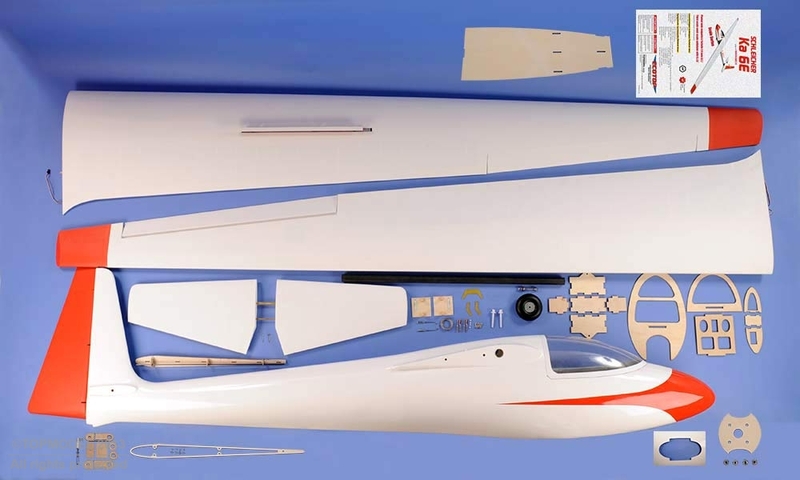 The fuselage made of fiberglass reproduces the real as accurately as possible, while being particularly robust. The model is expected to be equipped with an electric motor that allows it to be completely independent at the airfield (FES). Of course, it is also possible to use it as a pure glider. Simply by removing the propeller. 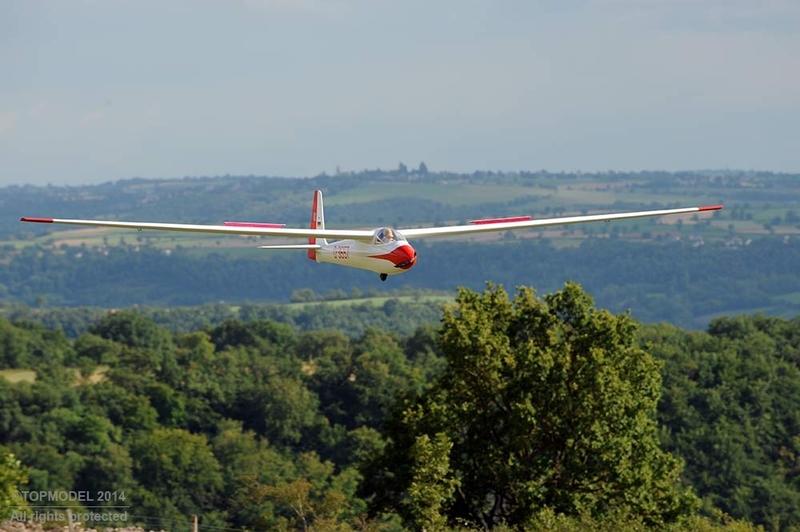 The smooth style of flight of the original Ka 6E is obviously respected. The thermal performance are breathtaking and circlings are an amazing realism. 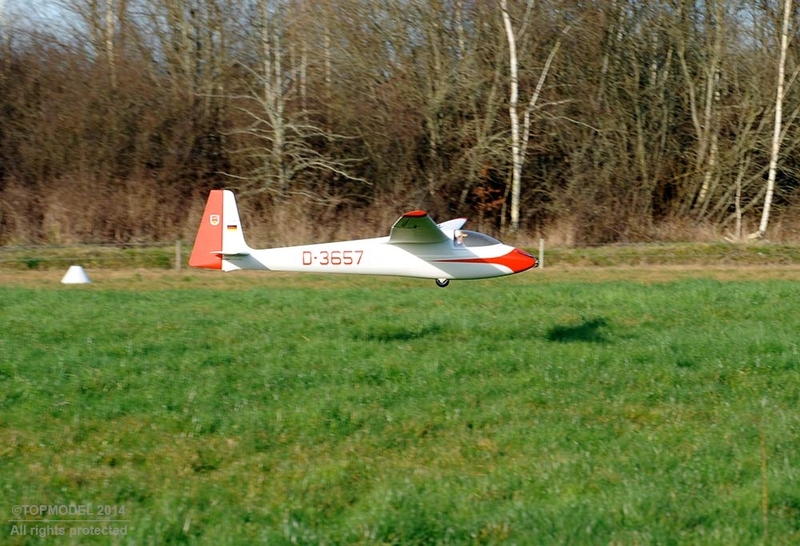 The Ka 6E is particularly easy to land. With its high wing and chubby fuselage, it is very stable on finals. Airbrakes cause no parasite pitch coupling. 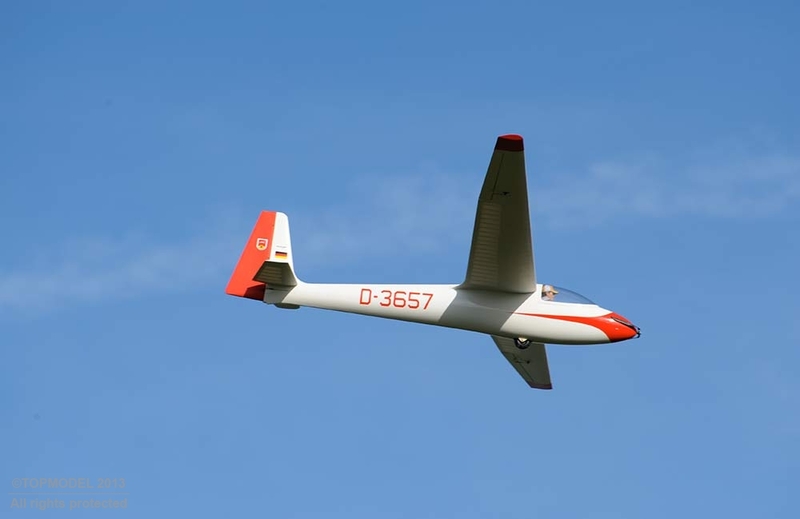 6S 5000 mAh battery pack provides almost 5 minutes of motor run allowing long flight duration even without any thermals and , in total autonomy - no need to wait for the tow plane at your airfield or for wind at the slope ! At the slope, the motor is powerful enough to climb back from deep down without concern. 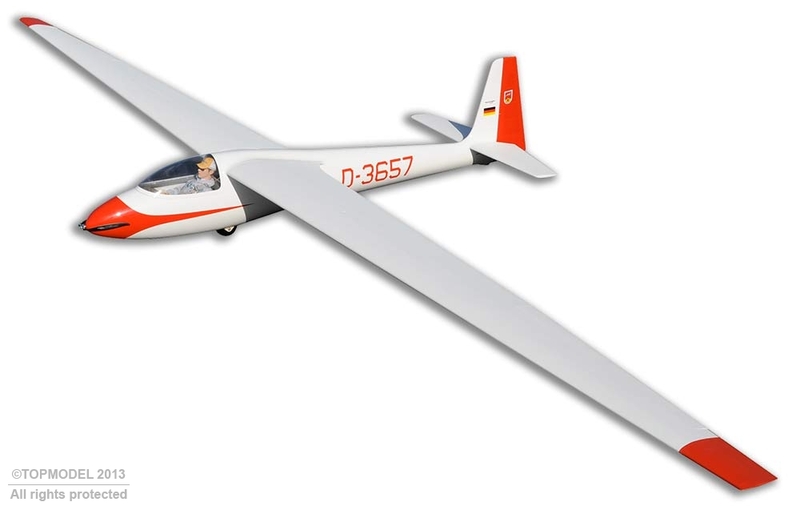 The buoyant asymmetrical airfoil, associated with a moderate wing loading and effective airbrakes, provides landings at reduced speed. Radio requirements are five std servos for the ailerons, rudder, elevator, tow release, and two additional mini servos for the airbrakes.